When: March 7-16, 2014. 8 p.m. Fridays and Saturdays, 2 p.m. Saturdays and Sundays. Pay-what-you-will preview 8 p.m. March 6, 2014. Jeffrey Lo is producing Neil LaBute's "Some Girl(s)" at Dragon Theatre in Redwood City, March 7-16, 2014. Jeffrey Lo is a fellow who wants to do so much in life that he actually resents having to sleep. "I try to sleep as little as possible," he said during a phone interview from the break room at TheatreWorks in Redwood City, where he is a future works fellow, which is kind of an umbrella term for someone who will do just about anything they ask of him. Among other things, he is an assistant to casting director Leslie Martinson, and assistant to the New Works director, except there is no New Works director at the moment  the search is on. He also helps with the reading committee, and with the April writers' retreat and whatever else is asked of him. "I try to keep busy," he said, understating it. "It's how I was brought up. My parents  my mother in particular. My mother worked two jobs, she asked us to work hard in school. "I didn't follow my mother's dream of becoming a nurse. So, if I am being an artist, I have work at it, take it seriously. As a Filipino-American, the arts are not a typical career path, so I take it as a real important duty to represent my community. "I have a lot of work to do. To make up for lost ground." Well, truthfully, Lo has not lost much ground. He's only 25 but has a good career path going at one of the major, most important theater operations in the nation, and has been roundly noted for his work. And, he also juggles a number of other, freelance theatrical jobs, directing here, producing there, writing new plays. Time to sleep? Not so much. 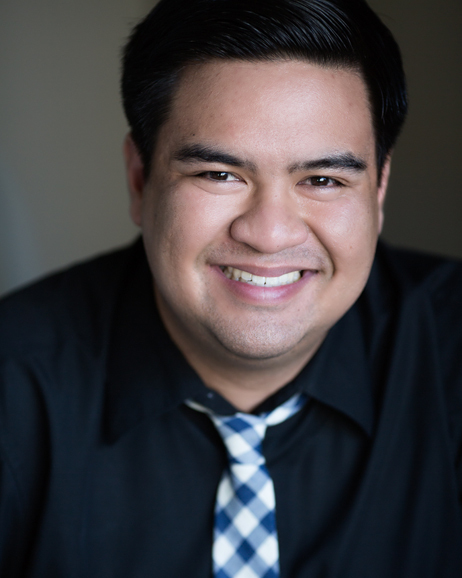 As a press release from Dragon Theatre says, Lo "is the recipient of the 2012 Emerging Artist Laureate by Arts Council Silicon Valley, the 2012 Theatre Bay Area Director's TITAN Award and "Artist to Watch for Next Season" at the 2012 Silicon Valley Small Theatre Awards. As a playwright and director, Jeffrey has worked with the Oregon Shakespeare Festival, TheatreWorks, San Jose Repertory Theatre, City Lights Theatre Company, Renegade Theatre Experiment and The BindleStiff Studio. He is the founding artistic director of The 06 Ensemble in San Jose, a resident artist at The BindleStiff Studio in San Francisco, and a proud alum of the UC Irvine Drama Department." One of the people who have noticed Lo's worker-bee efforts for theater is Meredith Hagedorn, founder of Dragon Theatre. That little company used to operate out of a storefront in Palo Alto, but was driven out by increasing costs, and moved to Redwood City and another, larger and finer, storefront operation, where it seems to be thriving. One of the Dragon's new activities in the new building is its 2nd Stages series. "I founded Dragon Productions as an actress wanting to create more theatre opportunities," Hagedorn said in a press release. "I had performed on many stages across the country, but I didn’t know the first thing about producing theatre when I began. I did, however, know my passion projects, and I was determined to make my dreams come true. This series is for those artists, who, like me, want to see their passion theatre project come to life, but who might not have the opportunity, the money, or the know-how to make it happen. If we can give others the same opportunities, then I’ll feel as if all our hard work has really been worthwhile." Hagedorn tapped Lo to be the first producer for the 2nd Stages series. "'Some Girl(s)' is a play I've wanted to do since college. It influenced me as a writer, it's been on my bucket list. I've pitched it to a couple of different theaters." So, Lo is the producer and director for "Some Girl(s)" by Neil LaBute, which will run only two weekends at the Dragon, March 7-16, 2014. One preview and eight performances. "Some Girl(s)" is a 2005 play about a guy who is about to be married, who decides first to go visit all his ex-girlfriends. It ran in New York and London, and was made into a movie. The Dragon gave Lo $3,000 and marketing support for the show. The money goes to "the artists, sets, costumes, stuff like that," Lo said. Well, like Hagedorn said, it's about doing it for passion. Some of Lo's production team are also doing it for passion, or as portfolio projects. Included in the design team are Carlos Aceves (set and properties design), Tanya Finkelstein (costume design), Nick Kumamoto (lighting design), Lo and Emily MacAgy (stage manager). Lo's passion for theater began when he was in high school. He tried it mostly as a lark, and found he "wasn't embarrassed talking in front of the school." The only time he has ever actually acted in a play, himself, was in high school. But his instructor, he recalled, got the students to write and direct a play. "I had always fancied myself as a writer. When I wrote a play, I discovered my voice." His first play, "All I Have," he described as a "personal, angsty play like a teenager would write." But that got him started, and he has now written eight plays, most of which he produced himself and directed, but some of which have been staged by others. He is developing another that he hopes to get on stage later this year. He hasn't acted since he was in high school. That's not his passion. His passions are writing, directing and producing. Endless, sleepless work at theaters all over the West Coast, from UC Irvine to Oregon Shakespeare. To what end? "My hope is to be artistic director of a regional theater," he said. Our guess? He'll make it. 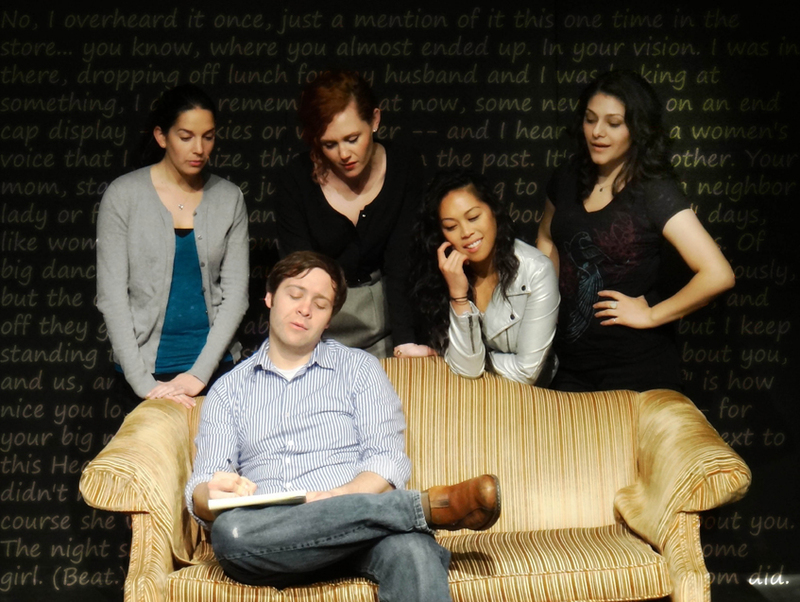 A promotional shot for "Some Girl(s)" by Neil LaBute, directed by Jeffrey Lo, running at Dragon Theatre in Redwood City, March 7-16, 2014. From left are Katie Rose Kruger, Evan Michael Schumacher, Marjorie Hazeltine, Nicole Javier, and Sara Luna.